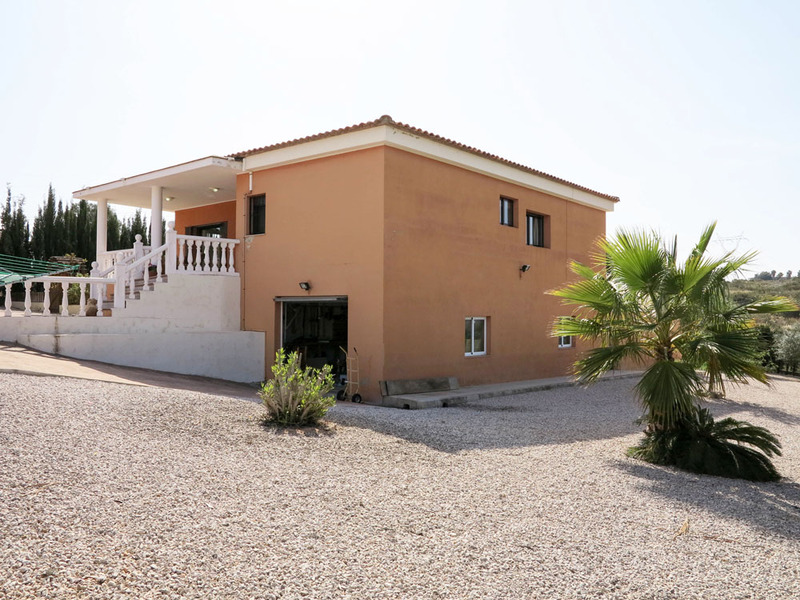 A great example of a competitively priced and well-presented villas for sale in Valencia, this villa is for sale on the San Cristobal urbanisation in Alberic. 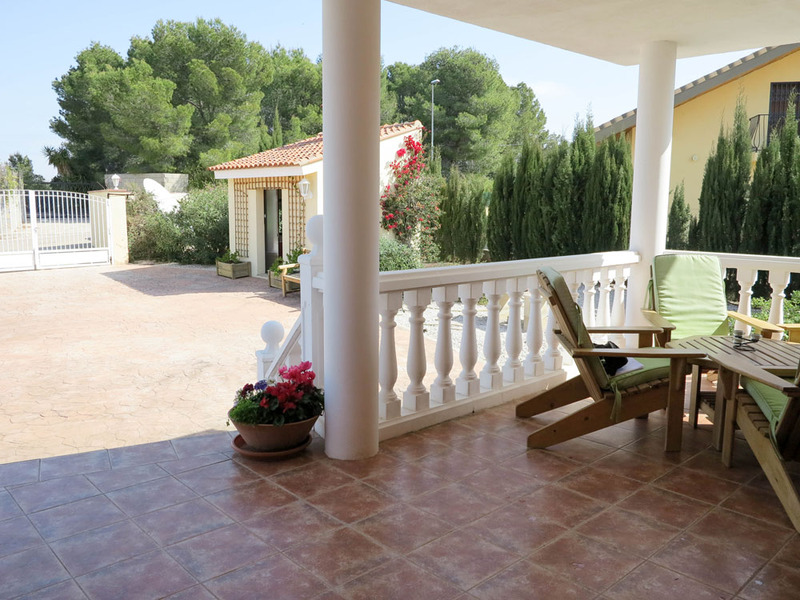 This is a private, gated urbanisation shared by many other well-presented villas. 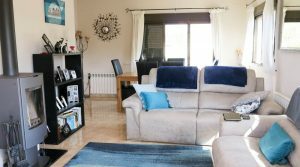 The urbanisation is situated just 3km outside the town of Alberic where you have the metro train taking you into Valencia city centre. 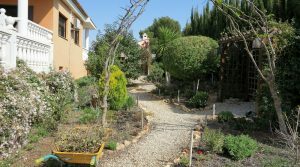 You also have the historic and very desirable city of Xativa just ten minutes drive away and the city of Alzira only 10k from Alberic. 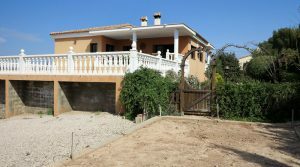 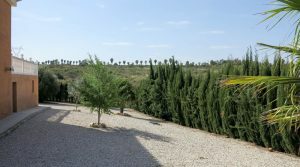 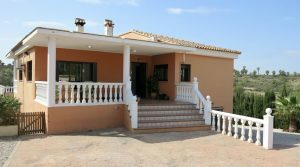 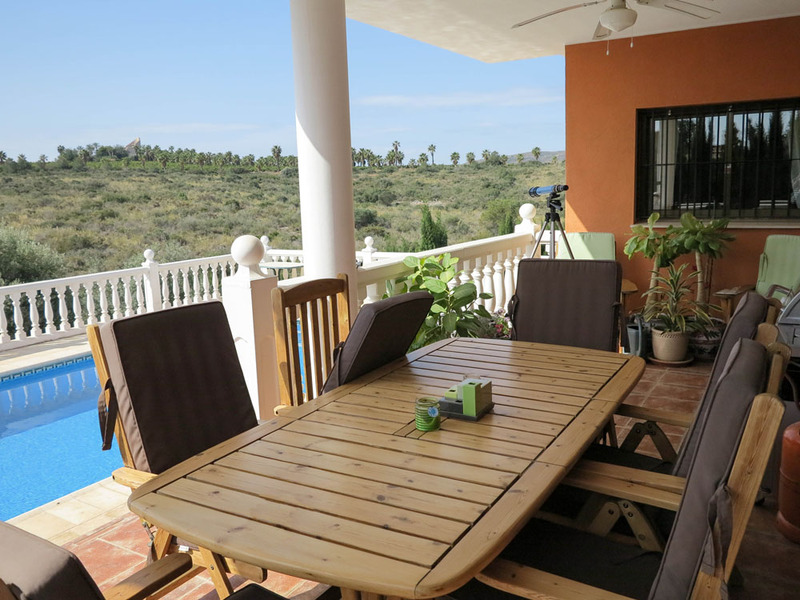 This villa is located on a road that has countryside views out from the back gardens as it has a good location on the perimeter of the urbanisation. 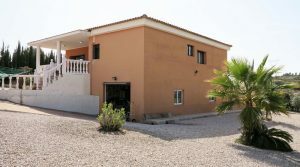 At the entrance to the property, you have double gates that open onto a coloured concrete stamp impression driveway which takes you down to the garage located in the underbuild section of the villa. 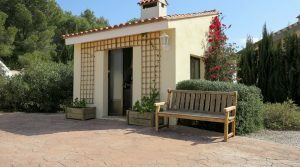 At the front of the villa, you have a covered terrace before passing inside to a reception hallway which distributes to each of the rooms. 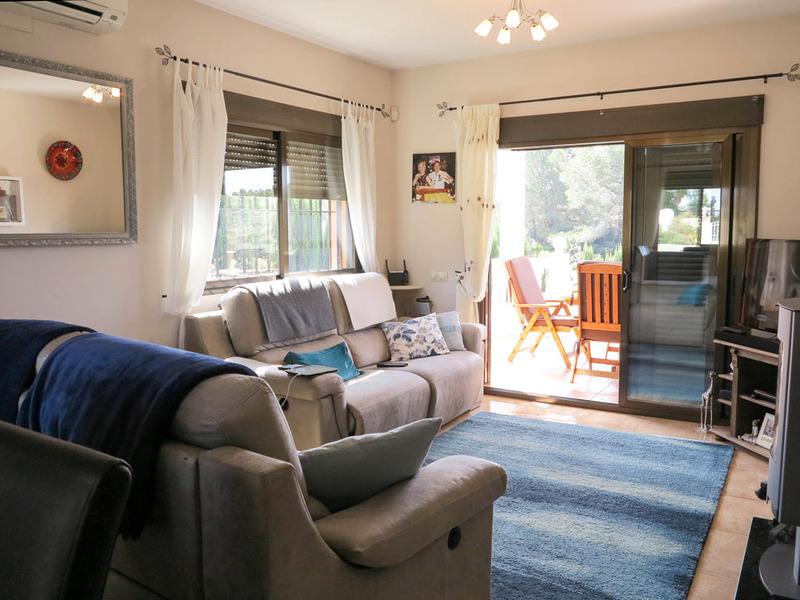 There is a good sized lounge/dining room on the left which has patio doors opening to the front covered terrace and also patio doors at the back of the lounge, taking you out to the rear covered terrace which overlooks the 9m x 5m swimming pool and gardens. 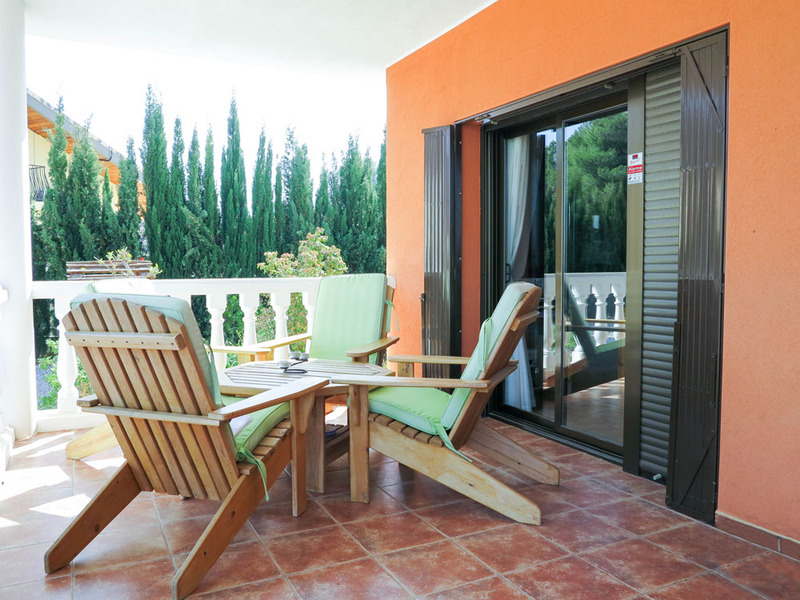 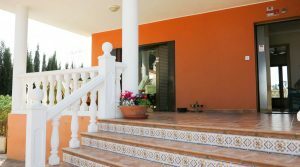 Surrounding the tiled swimming pool you have a balustrades terrace from where you can overlook your landscaped gardens. 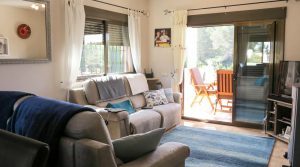 In the lounge, you have a modern log burning stove, together with hot/cold air conditioning and with ceiling fans. 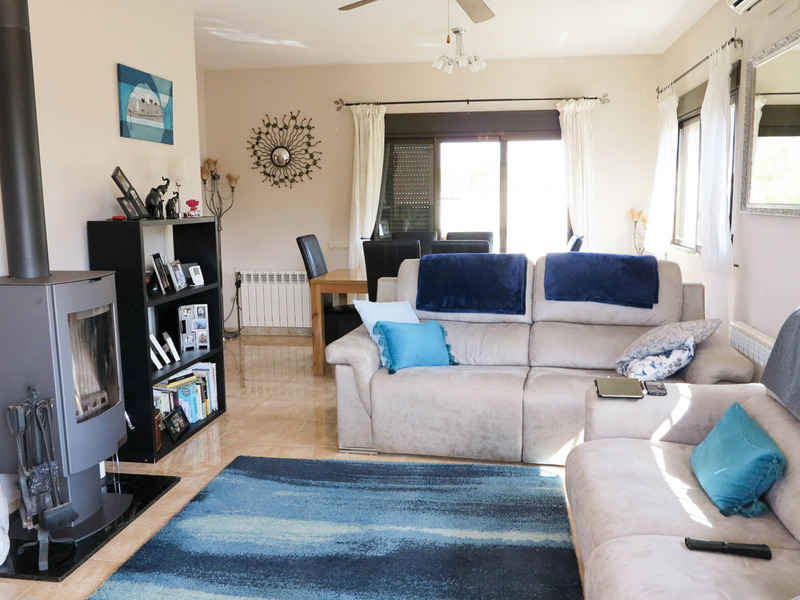 Adjacent to the lounge/dining room you have a modern fully fitted kitchen, complete with granite work surfaces and a door giving you direct access to the rear covered terrace shared with the lounge. 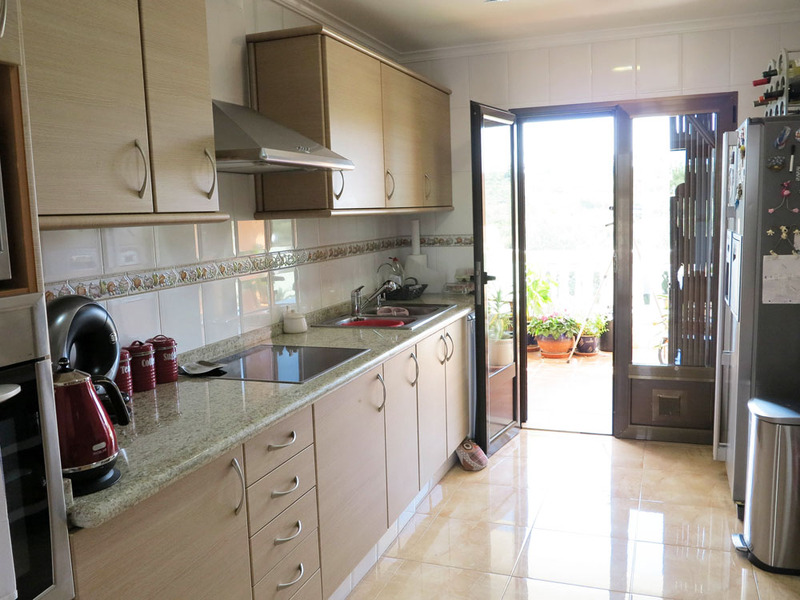 There is also a ceiling fan in the kitchen which is a nice feature. 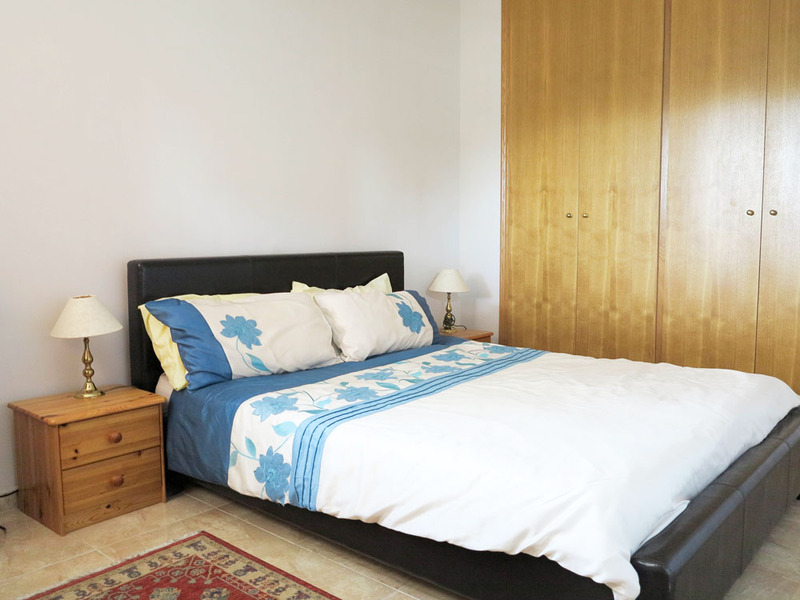 This is a three double bedroom villa and each of these bedrooms has fitted wardrobes. 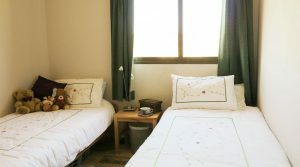 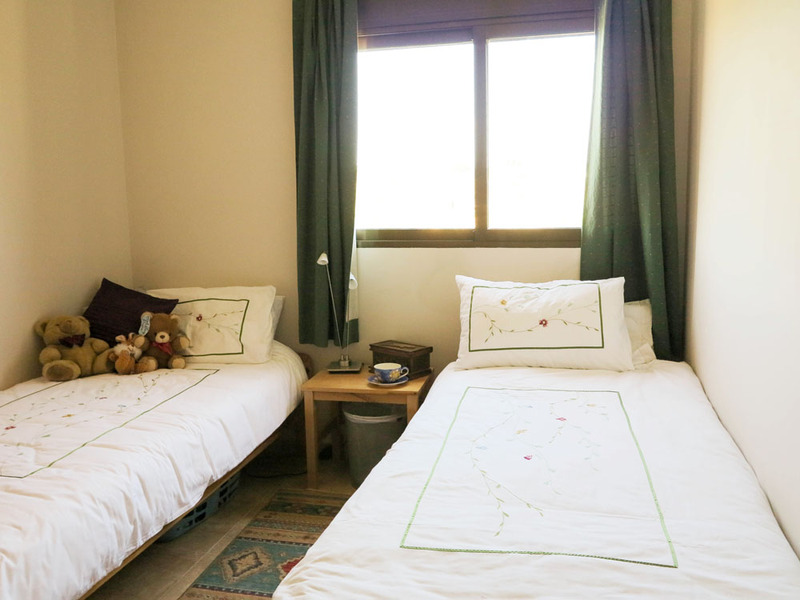 The master bedroom has hot/cold air conditioning, together with an en-suite bathroom. 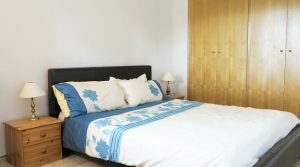 Each of the other two other bedrooms has ceiling fans and they are a good size, with bedroom 2 having double fitted wardrobes. 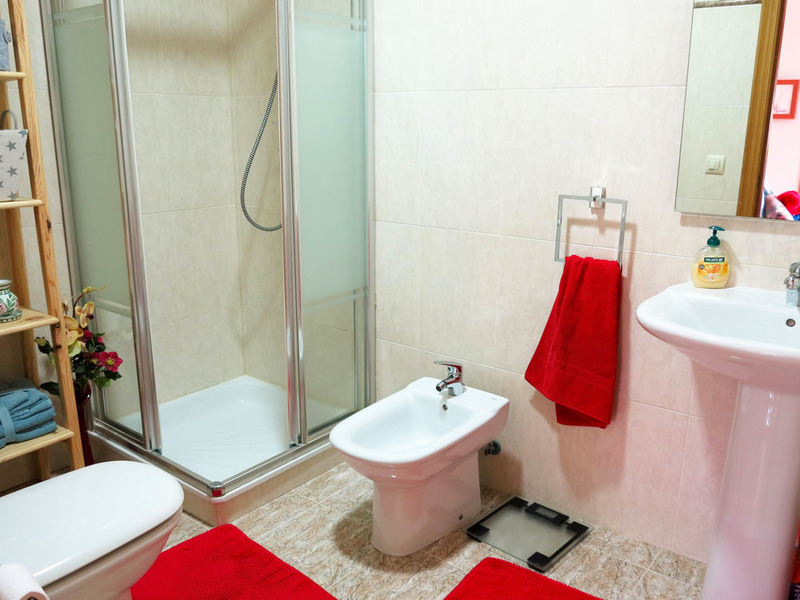 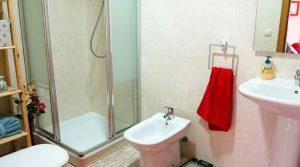 There is a family bathroom complete with a corner shower cabin. 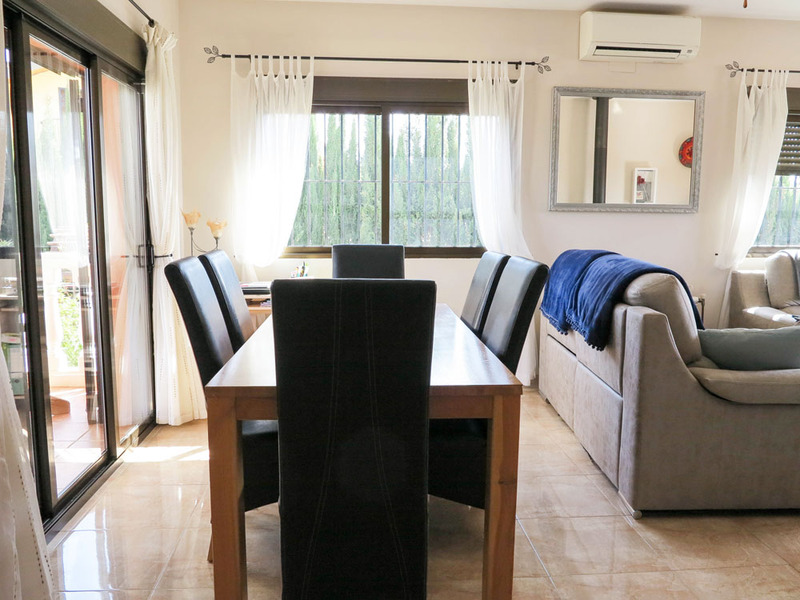 The entire property has oil central heating radiators in every room together with modern double glazed windows with persianas (blinds) and flynets incorporated. 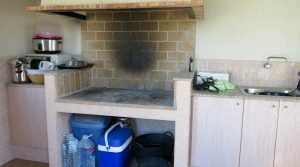 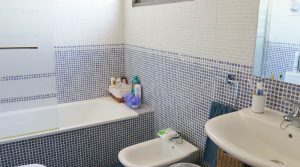 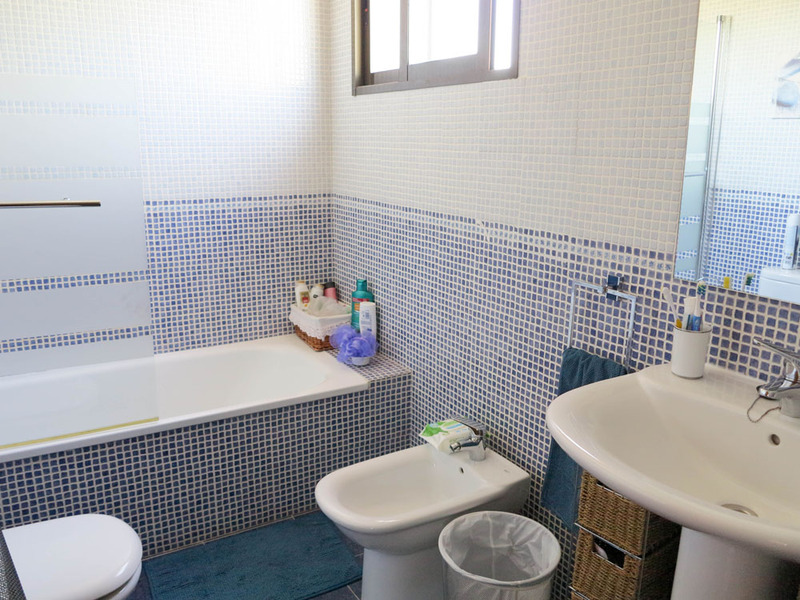 The property has tasteful tiling throughout, quality wooden doors, an alarm, and a door intercom system. 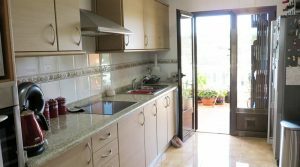 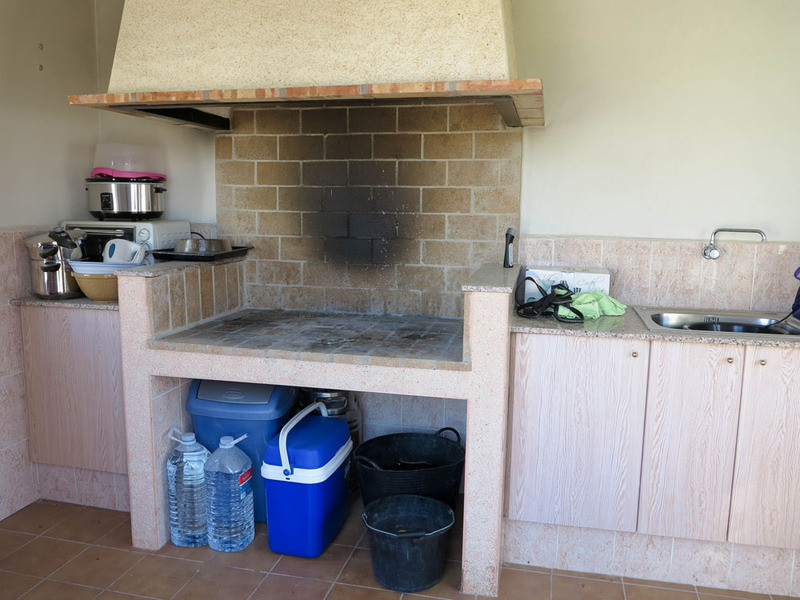 Across from the main villa, you have a charming outside kitchen, which is also presented to a high standard complete with tiled floors and double glazed windows. 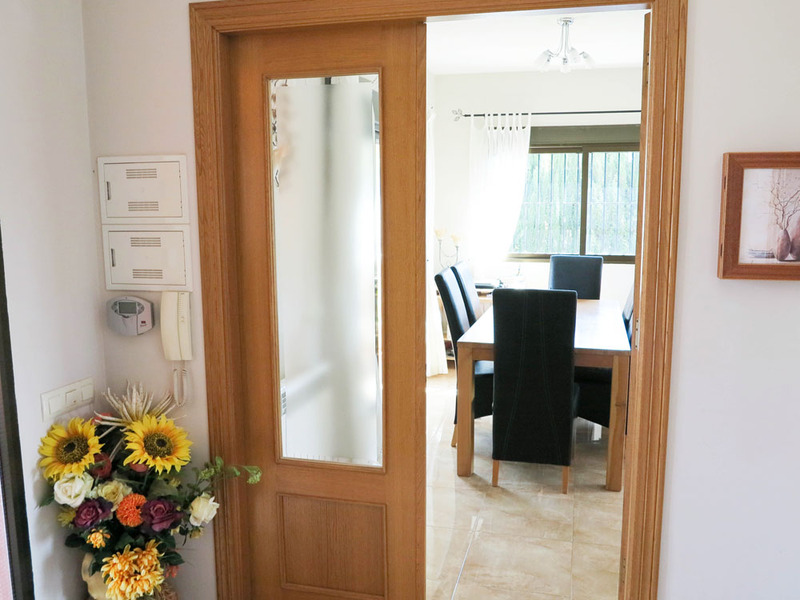 Next to the entrance gates, there is a detached store room which is a good size. 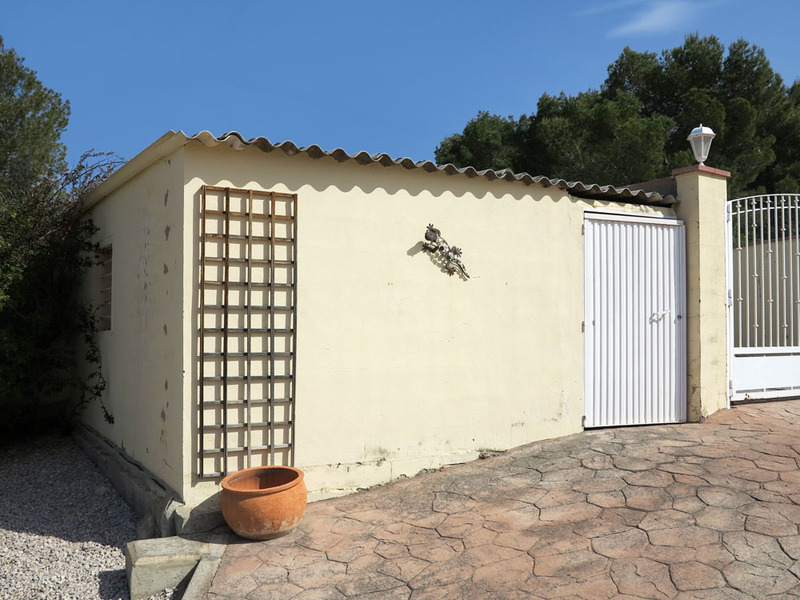 As discussed in the underbuild section of this property you have a large garage that has good ceiling height and with space to park at least two cars. 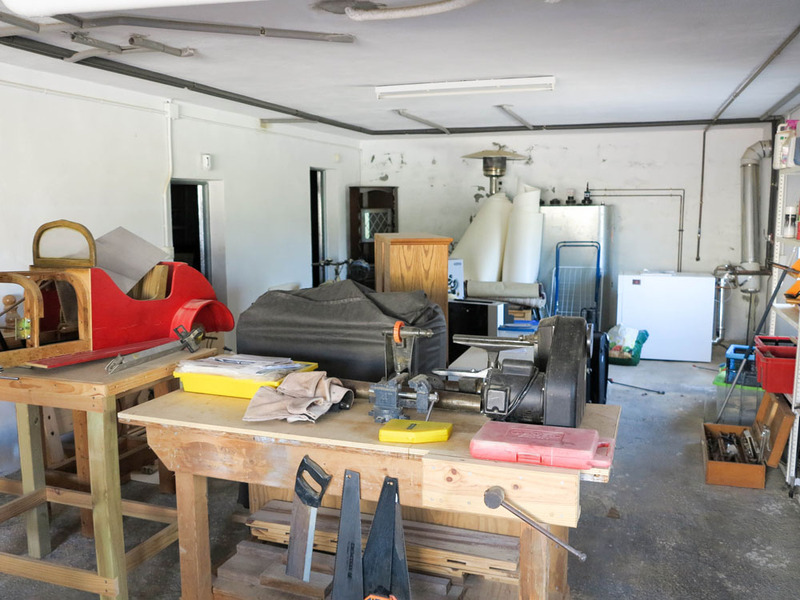 Inside the garage, there are also two further store rooms, each of these have lower ceilings however they are excellent dry areas for storage. 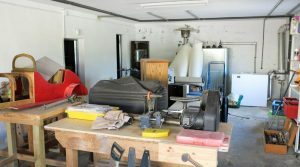 In the underbuild section of the swimming pool terrace, you also have another large storage area, this is where the swimming pool filter and pump system is kept, together with the programmer for the automatic irrigation system for the gardens. 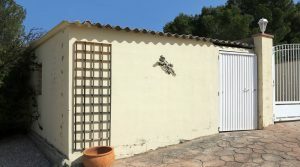 There is also a large 2.000-litre emergency water reservoir with an on-demand pump installed here in this storeroom, that servers the property which is a good feature. 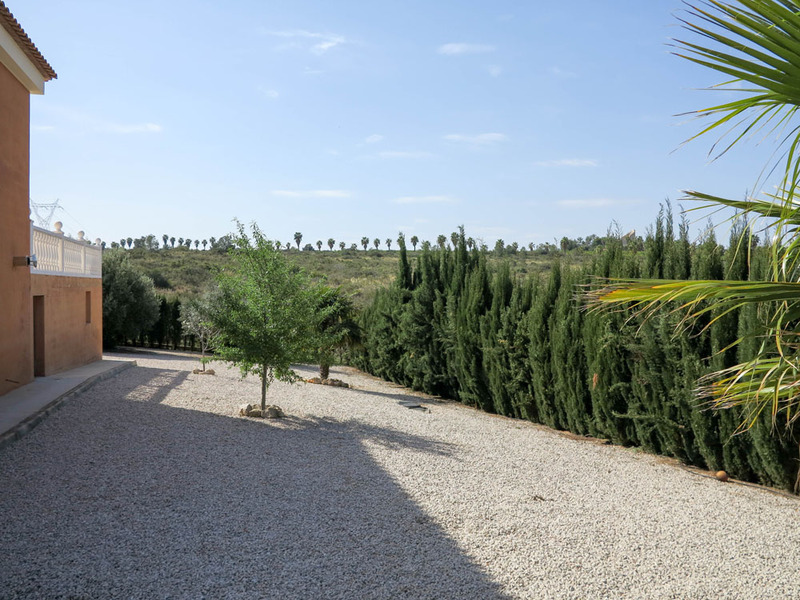 Throughout the gardens, you have a good choice of trees, including olive, orange, palm trees, and other flowering shrubs, with a lovely garden area situated at the side of the villa. 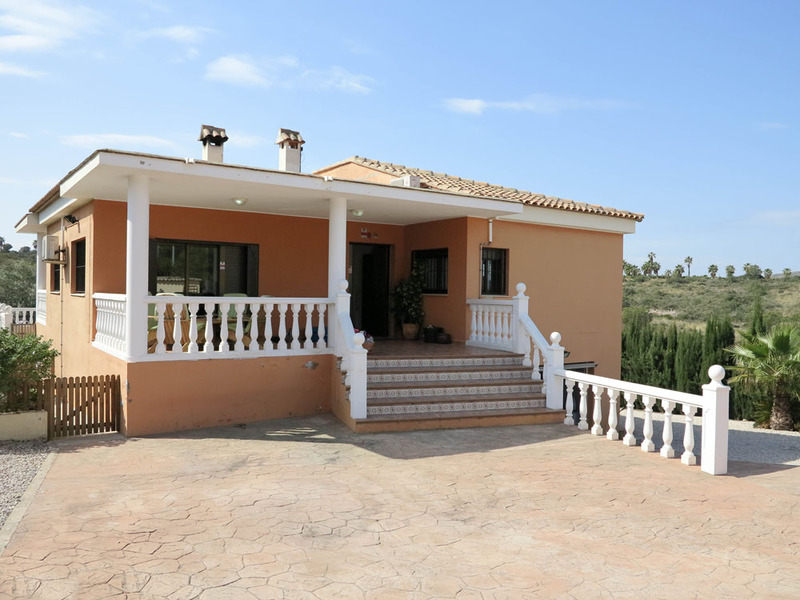 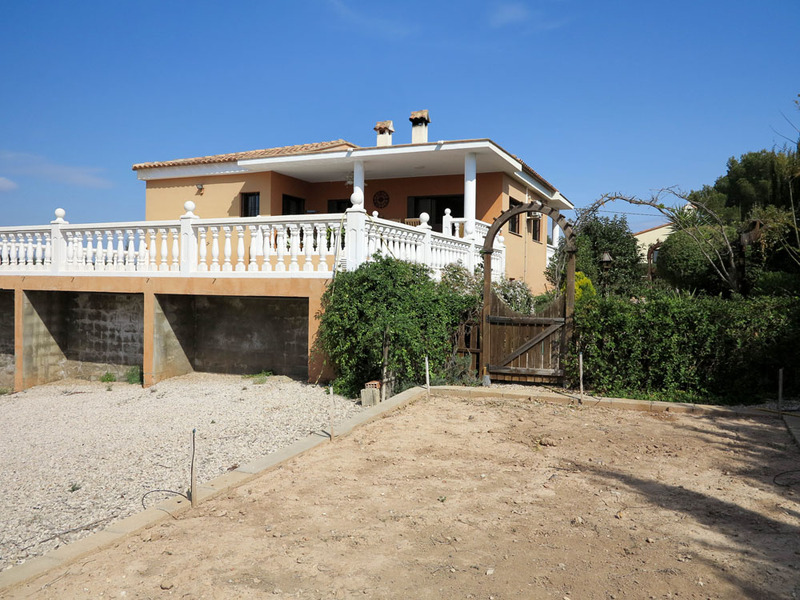 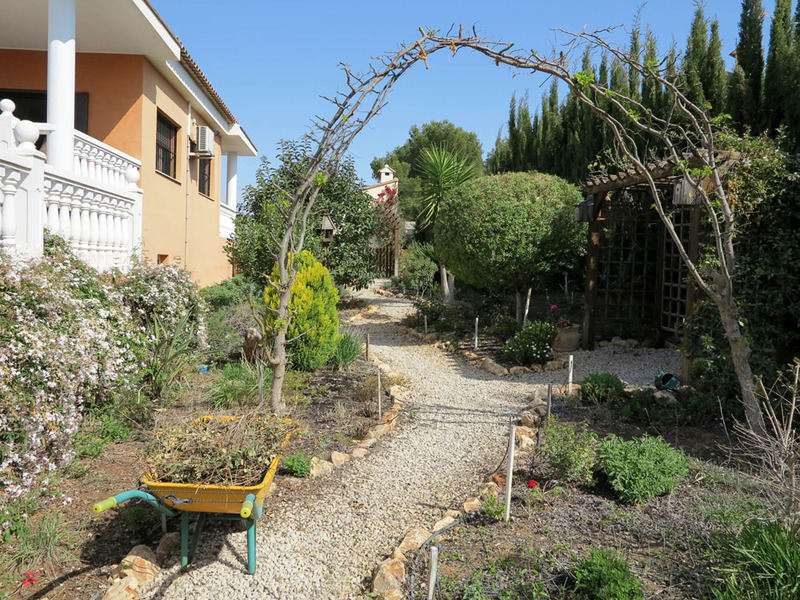 This well-presented villa is being sold partly furnished and includes all modern electro-domestic appliances.